You will earn 15 Catt credits for buying this product. An 'Effective International Schools Series' publication. 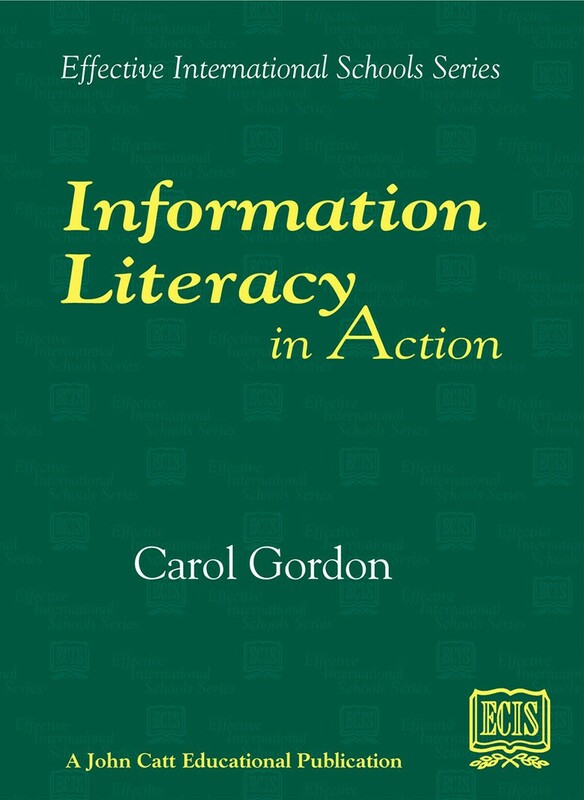 Carol Gordon on learning to use information resources effectively. No longer can the librarian limit his/her repertoire of teaching to lists of skills dictated by a curriculum document conceived in isolation. Information skills must emerge from the academic areas in which they are embedded. This book presents projects that artfully blend the information literacy agenda of the librarian with the agenda of the classroom teacher. Team teaching, interdisciplinary planning and teaching, integration of technology in teaching, and authentic, or performance-based learning and assessment, are comfortable partners to resource-based project work that highlights problem-solving, inquiry learning and critical thinking. Information Literacy in Action is a collection of projects conceived by teachers and were intended to meet real needs, such as covering the curriculum, in the real world of every-day teaching. Each project has been piloted, implemented, revised and re-visited many times. As the world outside the classroom raced on to the Information Highway and online resources, and pedagogy translated constructivist ideas about learning to performance-based authentic learning and assessment, these projects survived dissection and, in some cases, extensive surgery. It is a tribute to the vision and reflective practice of the teachers whose work is represented here that their ideas are the backbone of several information literacy programmes in classrooms and libraries of international schools throughout Europe. The projects assembled in this book relate to a cross-section of academic subjects and a variety of grade levels, from third to twelfth. Most projects fall into middle level, from 5th to 9th grades, making adaptation of the units manageable for lower and upper grades. While the projects described are complete, their features can be used to modify projects already in place in your school. Technology is used in some projects and all projects are resource-based. The author: Carol Gordon taught in New York City for seven years. After earning an MA she moved to Michigan where she gained a Masters of Library Science from Western Michigan University. She subsequently worked as a 'roving teacher' in a high school completion programme for homebound adults before becoming a school library media specialist and Co-ordinator of Multicultural Programmes in Barnstable, Massachusetts. Carol has served as Director of Libraries and Information Services at the Frankfurt International School in Germany, and participated in an exchange with the American School in London before going on to earn a doctorate in Education from Boston University, where she is now Head of the Educational Resources Library. Carol maintains an international consulting service. Her articles on information literacy have been published in School Library Media Research, SCAN, and Knowledge Quest.